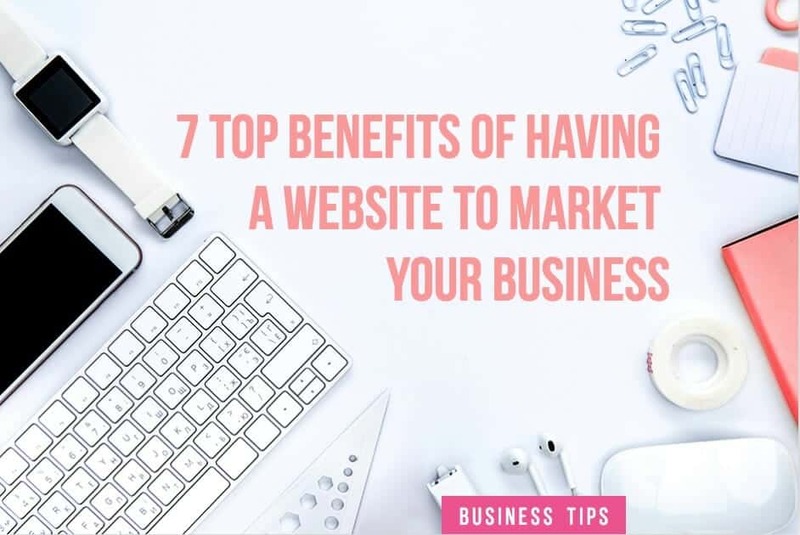 In this post, we will look at seven benefits of having a website to market your business with. If you still don’t have one and you own a business, it’s about time to consider getting one. 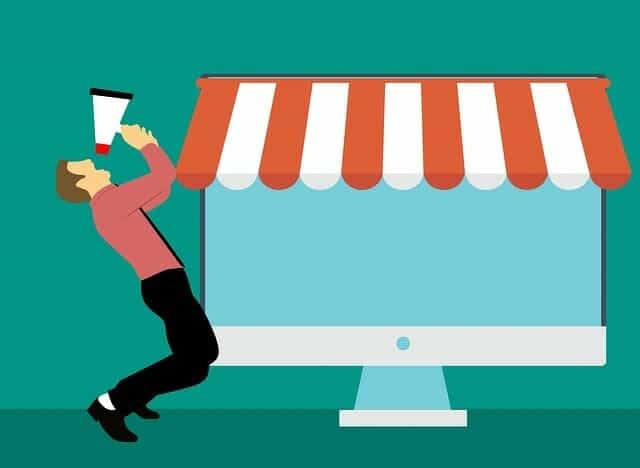 A website can become the cental point of most of your online marketing efforts especially for small businesses trying to grow. Anyway, lets get started straight away on mapping out the benefits. One of the most obvious benefits of a having a well planned out and structured business website to market online with is the opportunity it gives you to showcase your products or services to prospective customers or clients. You can highllight all the important features and benefits of buying whatever it is you are selling. There is a strong possibility potential buyers are actively researching online whatever it is you are selling every single day. They want to find solution to suit their particular needs and requirements. This is all good news for you, the business website owner. Having a visible online presence gives your business a real boost over your competition because consumers who are searching online are clearly much more likely find your products or services over those of your competitors who have no online visability whatsoever. Another great marketing benefit of owning a website offers is you can use paid advertising to get more exposure resulting in more sales for your business. Pay Per Click (PPC) on Google Adwords or Bing Ads (more popular in the United States than it is in Ireland) can really reap rewards for getting targeted traffic to your website or offer page. It’s important to point out that you know reall must know how to fine tune your PPC campaigns. When I say fine tuning I mean not wasting your budget on useless clicks for non-targeted traffic. Remember, each click by someone will result in a cost to you. Depending on your niche, the clicks can eat through a modest advertising budget at an alarming rate. Paying very close attention to your carefully selected keywords and negative keyword choices is a must. If you don’t have the skills needed to do this yourself, then it is strongly advised you get a PPC expert to run your campaigns for you. Generally, agencies who offer this kind of service will do so for a reasonable one-off set up cost and a percentage of your monthly budget (usually an amount between 15% and 20%). This type of service is well worth the cost once your campaigns are generating a positive Return On Investment (commonly referred to as ROI). An eCommerce website enables you to sell your products directly to the public. Again, this can give you a real edge over your competitors. People who use the Internet to research products can often be in a hurry to buy and would be much more inclined to choose retailers they can buy from online over a seller who you can only purchase from instore. If you have any types of goods or services to sell, it makes perfect sense to have an eCommerce website so that visitors who want to buy online can easily select and add their chosen product or service to a online shopping cart on your site, and check out quickly with a credit card or PayPal (if your web designer/developer has integrated it with your site). People love the convenience of buying online. Usually they are ready to buy (credit card in hand!) once they have completed their online product researching and are 100% satisfied with their choice. It’s worth noting too that your first time customers, it they are happy with what you sold them, can become repeat customers who are happy to buy from you on a regular basis. This is what is referred to as the Lifetime Customer Value (LCV) in marketing terms. Another superb advantage to having a website to market your business with is it provides you with the ability to reach a large, worldwide audience. The Internet essentially knows no boundaries and through the power of search engines like Google, Yahoo and Bing, a whole new market is within reach. Potential clients or customers around the world can now be targeted instead of being limited to your own geographical location. The old way of advertising via television, radio and the print media is extremely expensive (a simple quarter page ad in a national newspaper can set you back almost the cost of getting your own site designed!) and your reach is limited not only by location but also the short-term nature of this type of advertising. Newspapers usually end up in a recycling bin the next day! Being online makes it possible to generate both generic and paid traffic to your website for a fraction of the cost. It’s worth remembering too that having a website means your are online 24 hours a day, 7 days a week. Your website can be drawing in potential customers whilst you are safe and sound asleep in your bed. Now, that’s quite an advantage and an incredibly good reason for having your business online. Another advantage to having your own business website we would like to touch on is, you can actually generate income from your website in other ways that are not so obvious. Once you have a decent amount of regular traffic coming to your site over time, you can consider selling advertising space to other business owners who want to advertise their own products and services on the net. If other companies are selling a product or service that is related to your niche, it makes good sense to offer say a banner ad to them for a fixed monthly fee. It should go without saying that you don’t shoot yourself in both feet by making sure you don’t offer advertising space to other companies who are selling the exact same or similar things to you! Posting regularly to a blog section on your website with useful information relevant to your marketing niche can also bring more visitors to your site and keep them engaged. You can also use this space to announce special offers or new product launches from time to time. It’s probably not wise to be constantly selling to your readers but it’s fine to do it occasionally. Remember, people like to buy but hate to be bombarded with endless offers! Make the most of your blog content more of a helpful and entertaining resource. That brings us to the end of this post. Thanks for reading! Do keep a look out for our next post. YouTube is a Powerful Marketing Tool!